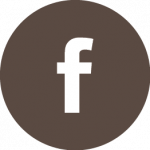 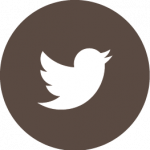 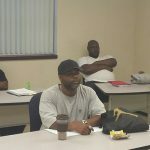 Categories Education, Watch Us Grow! 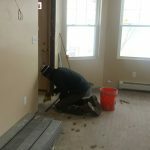 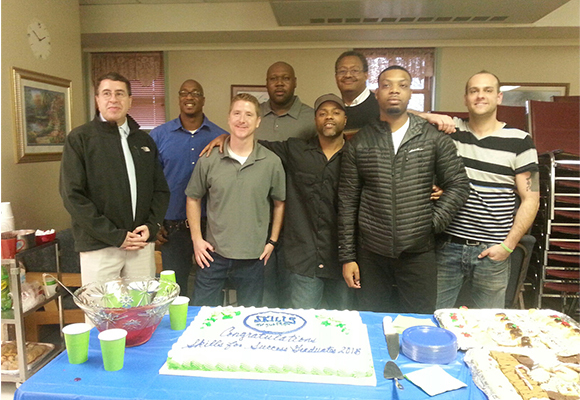 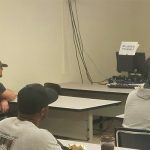 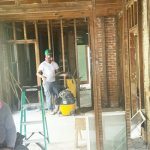 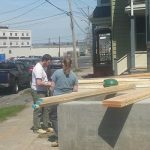 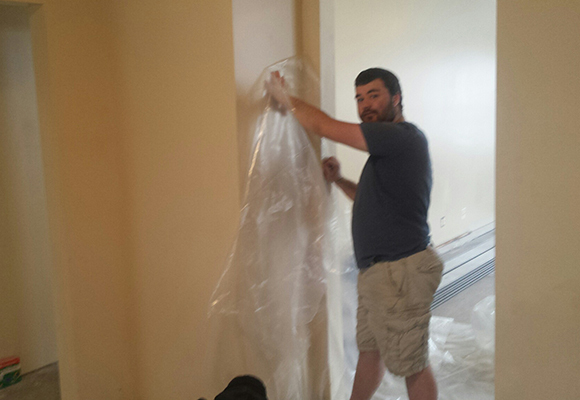 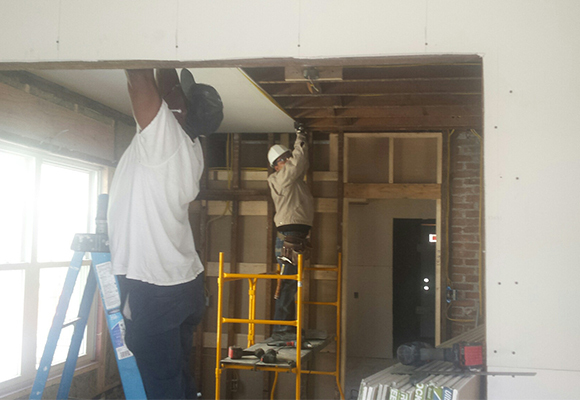 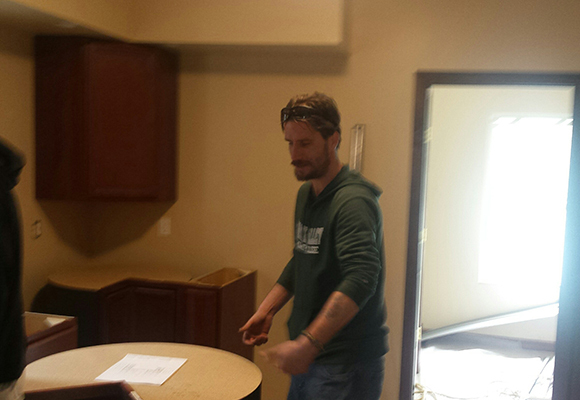 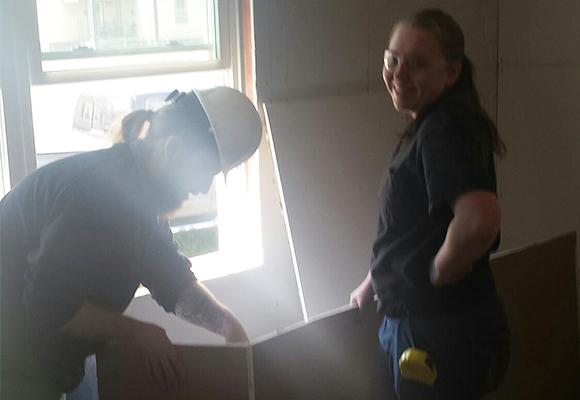 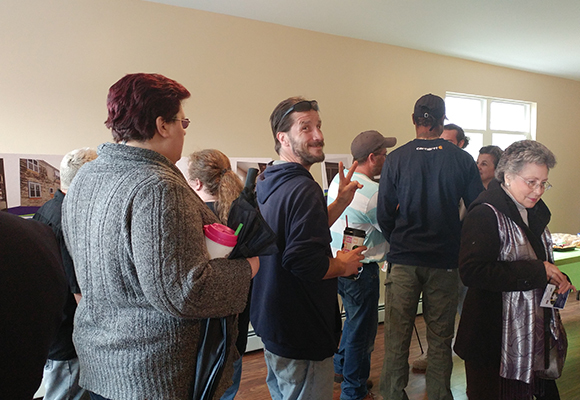 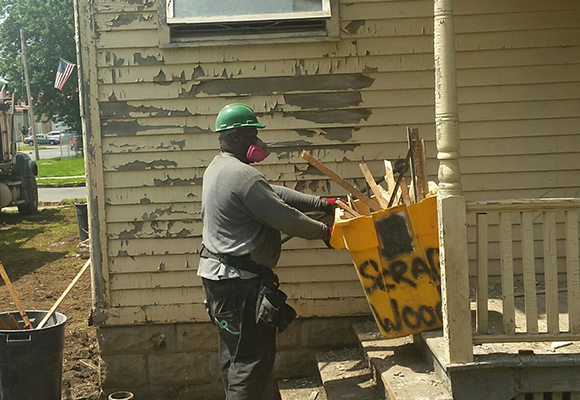 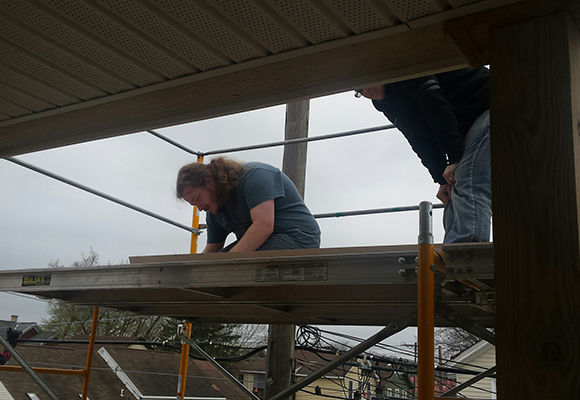 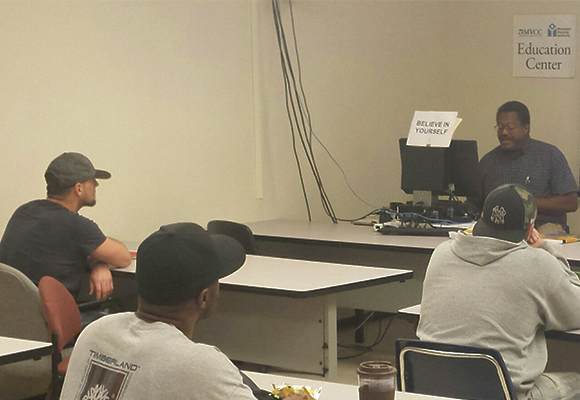 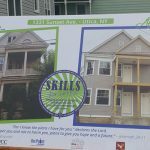 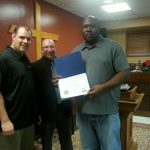 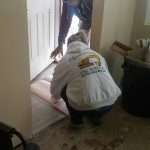 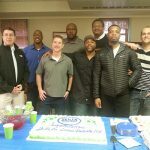 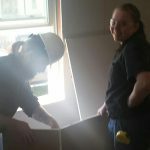 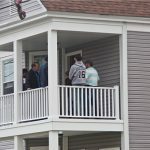 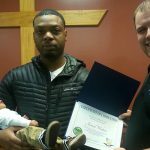 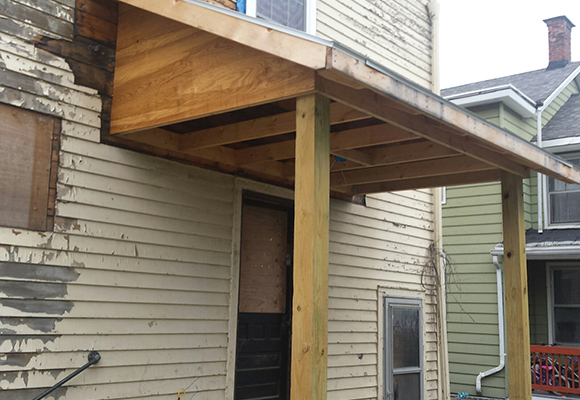 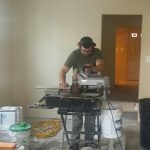 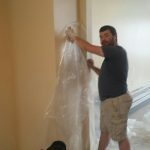 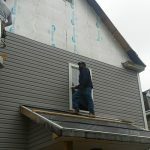 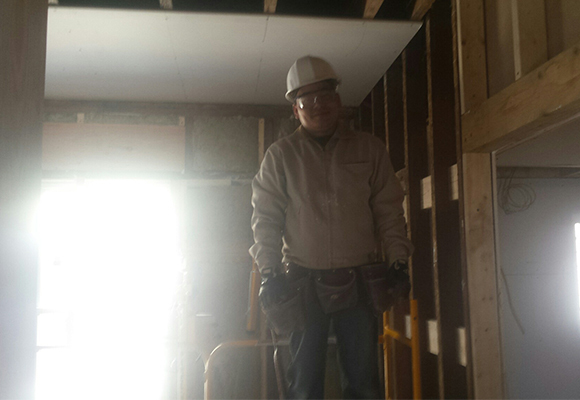 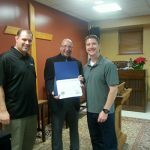 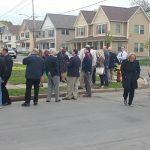 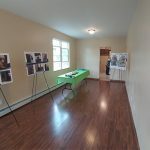 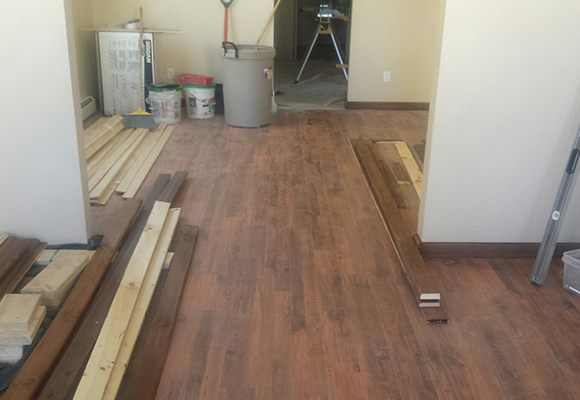 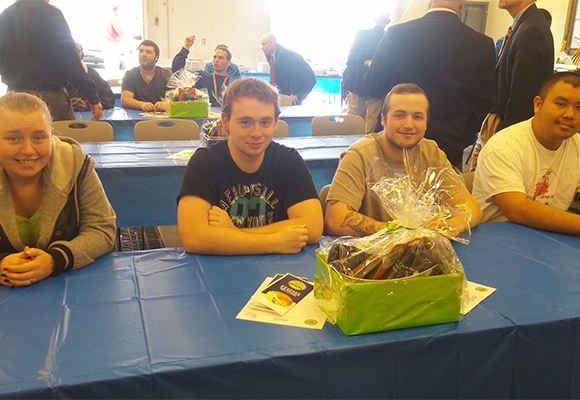 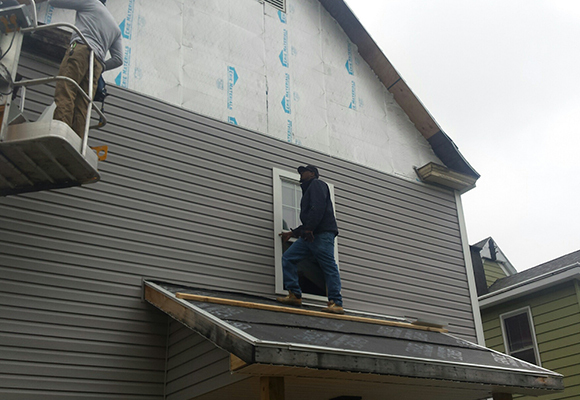 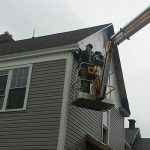 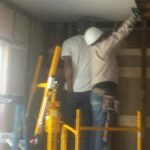 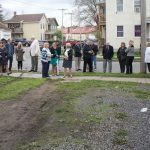 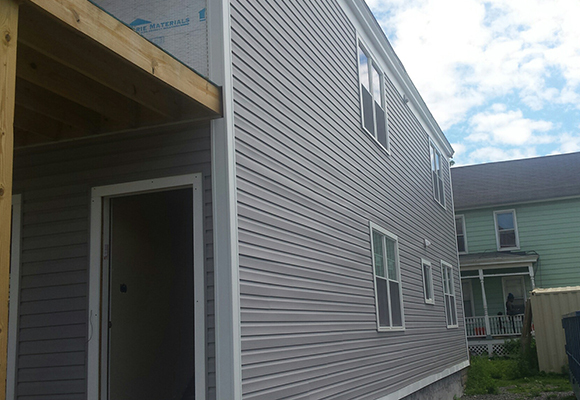 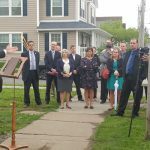 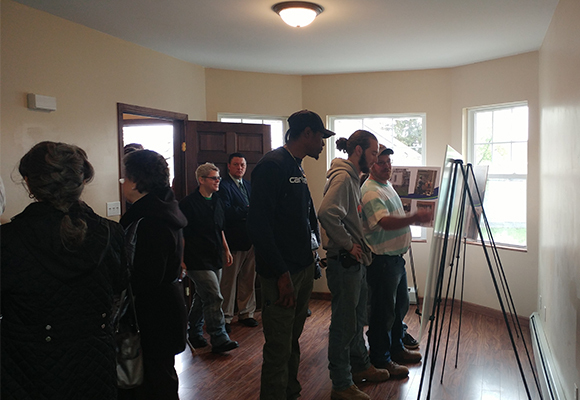 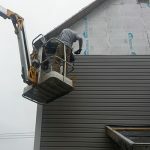 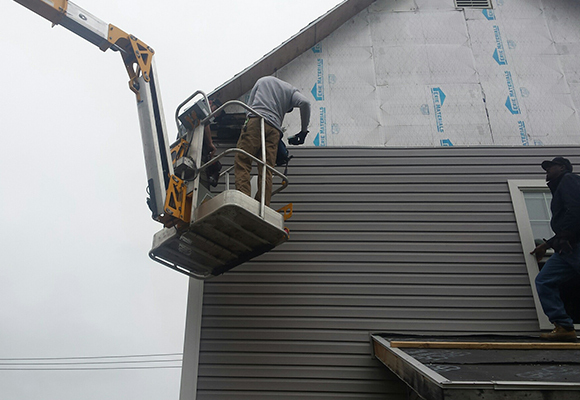 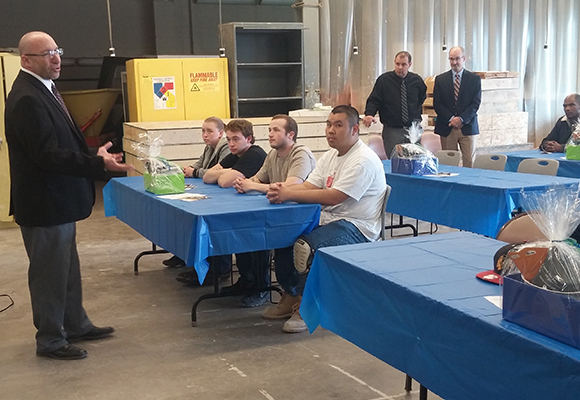 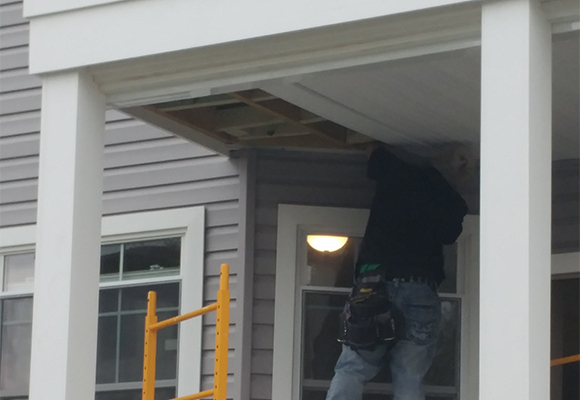 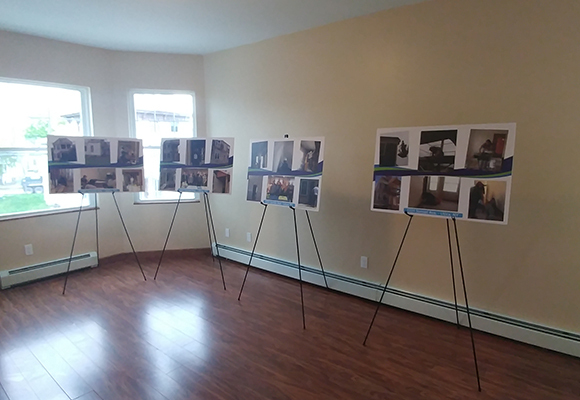 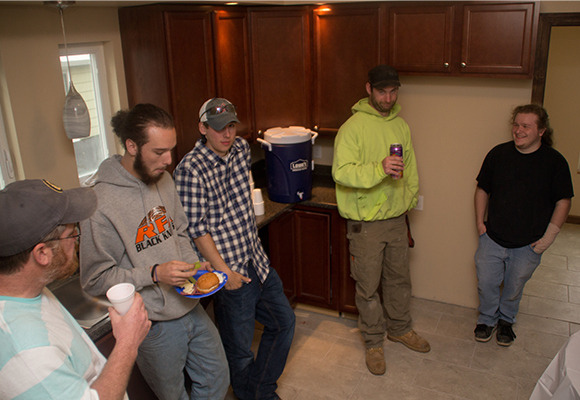 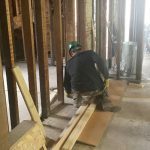 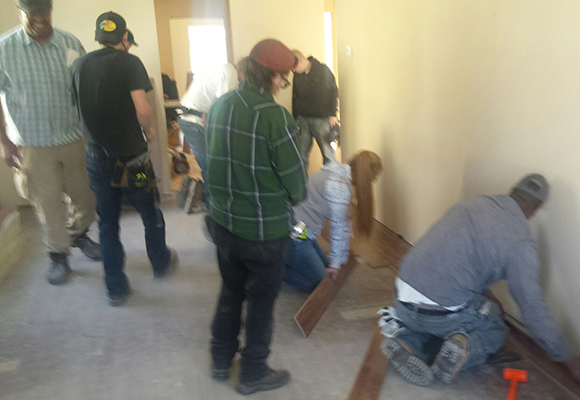 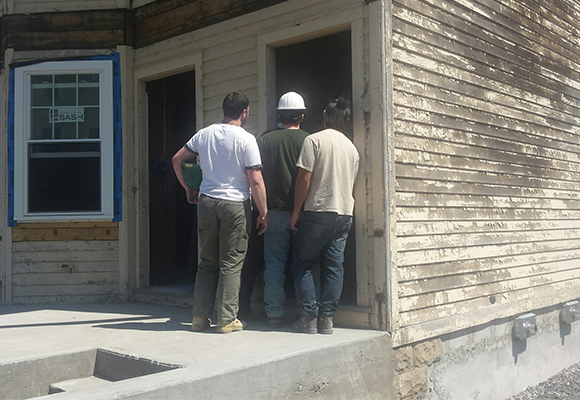 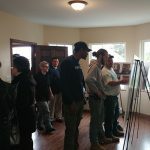 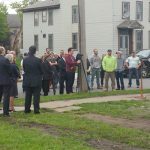 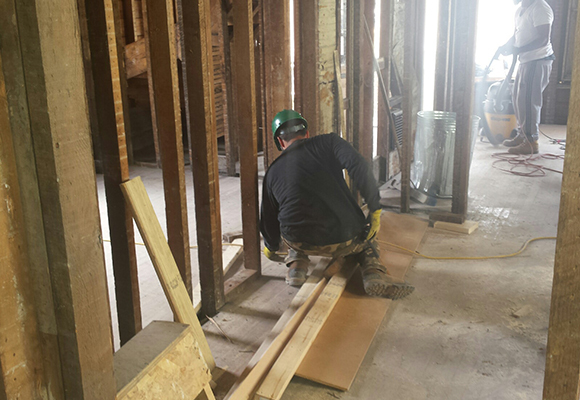 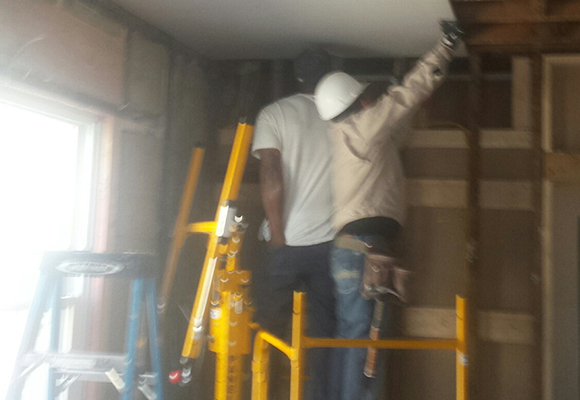 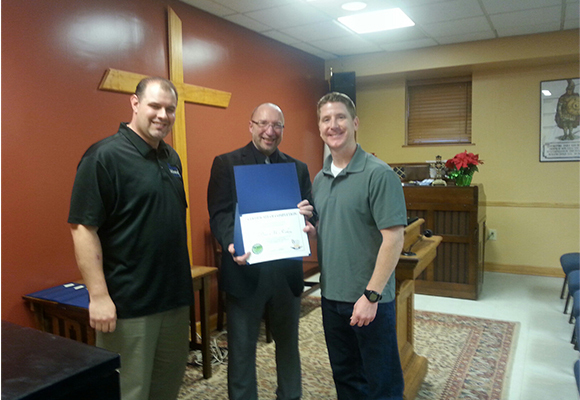 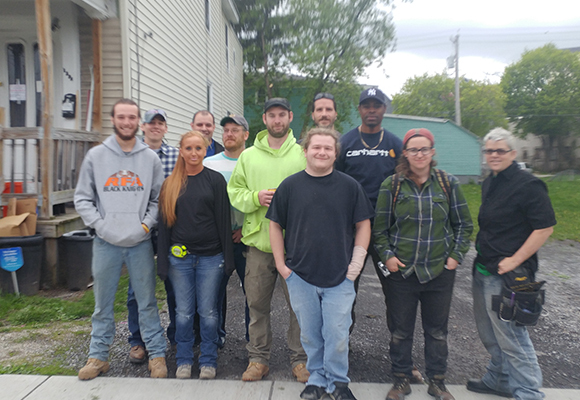 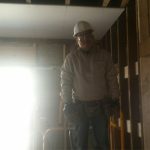 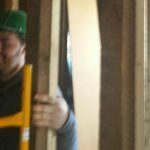 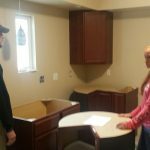 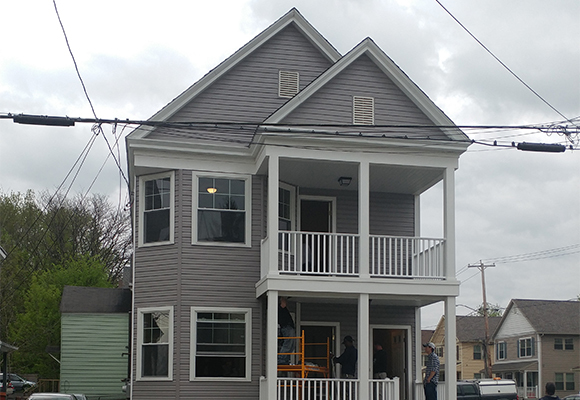 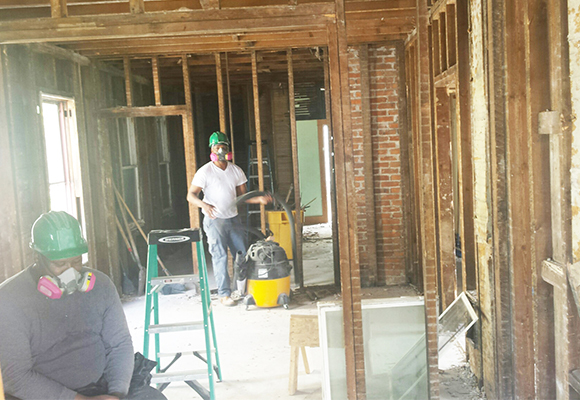 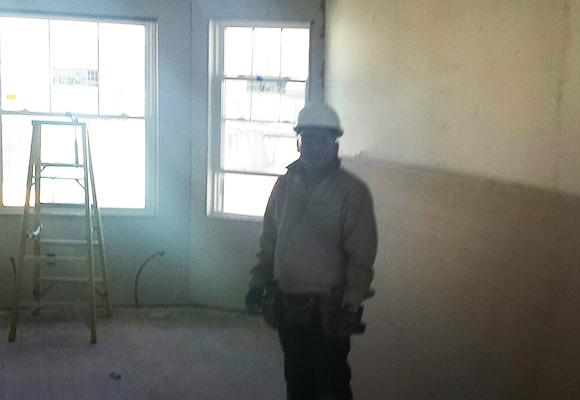 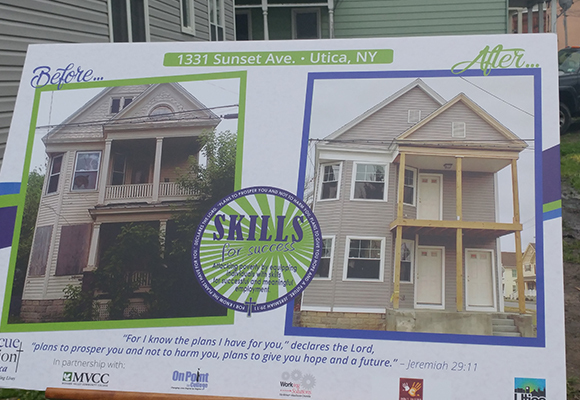 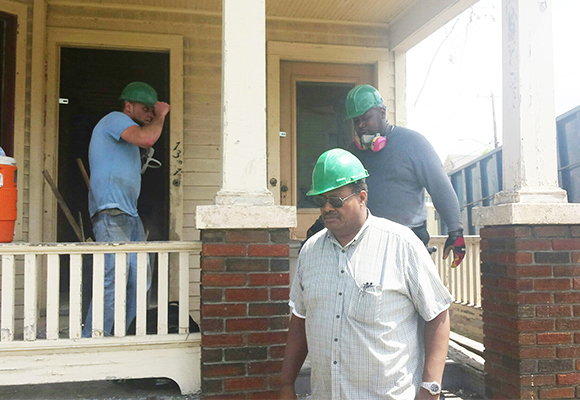 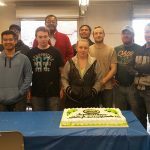 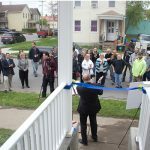 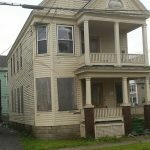 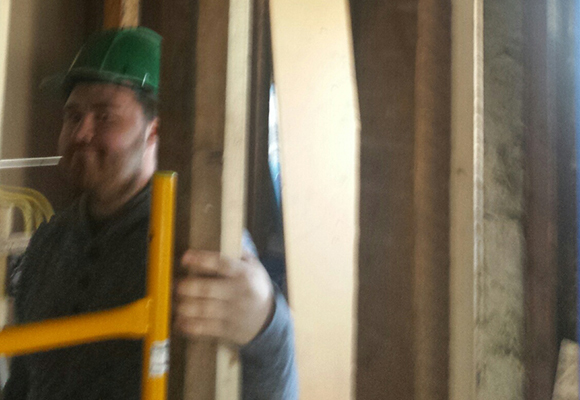 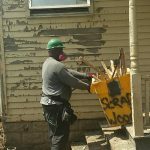 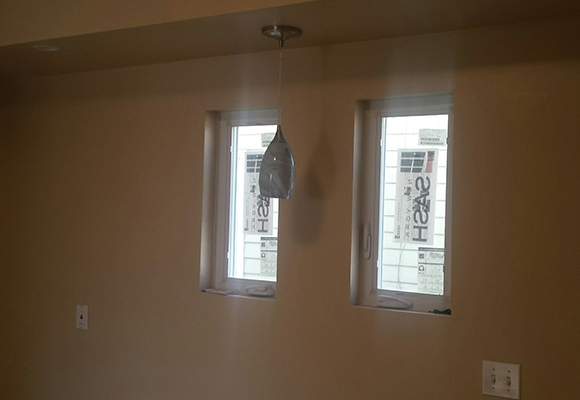 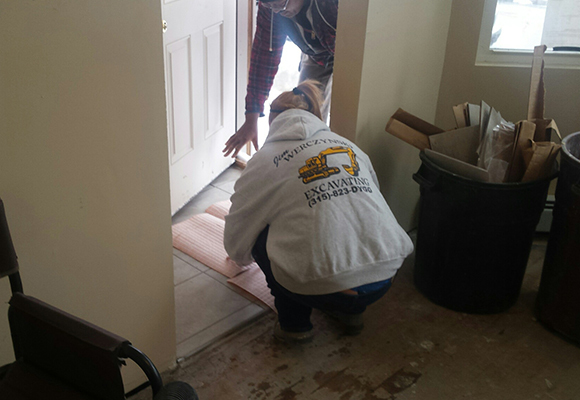 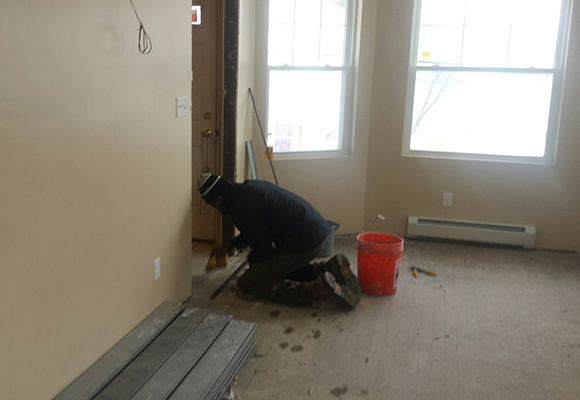 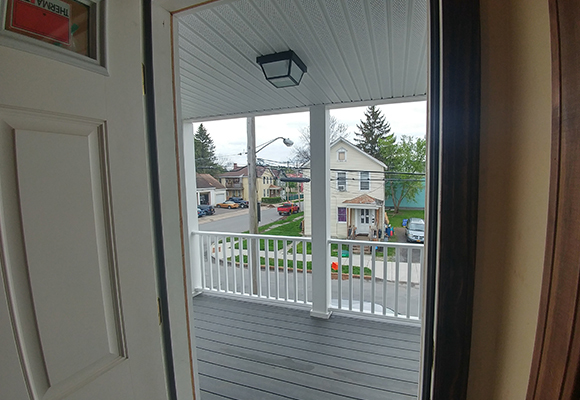 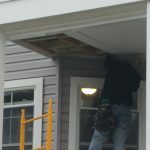 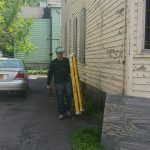 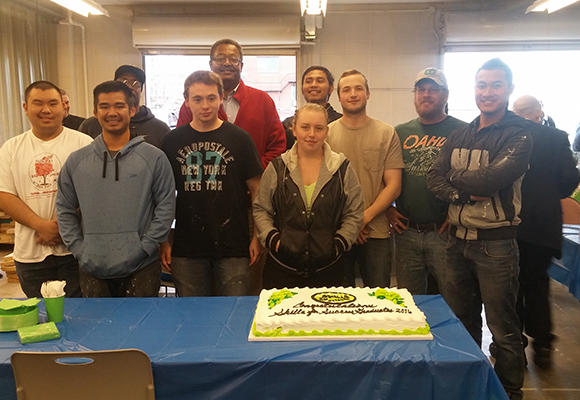 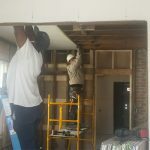 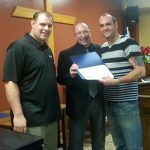 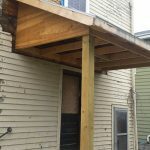 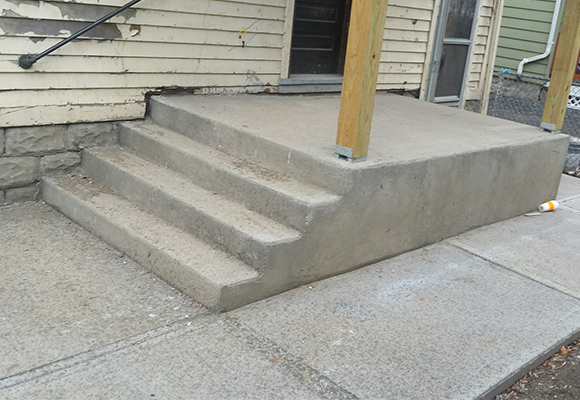 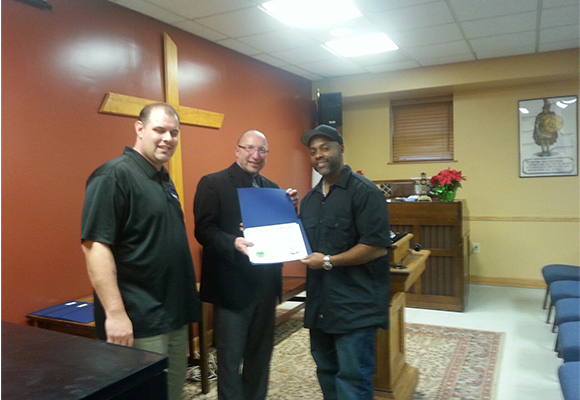 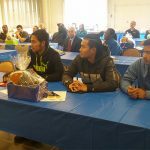 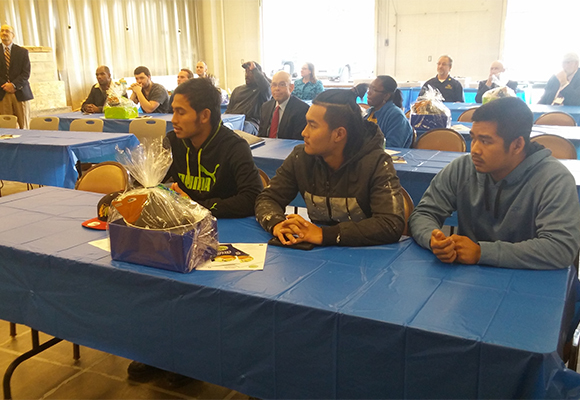 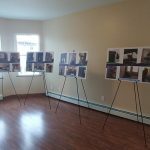 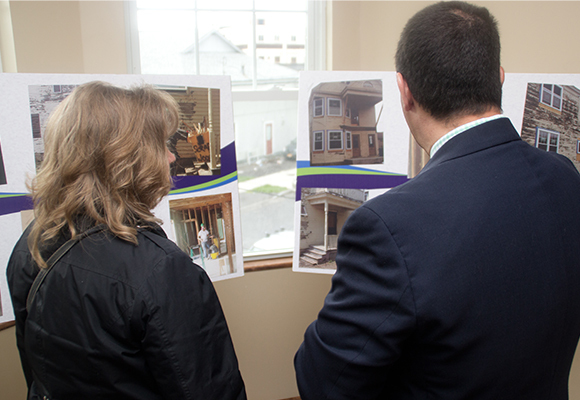 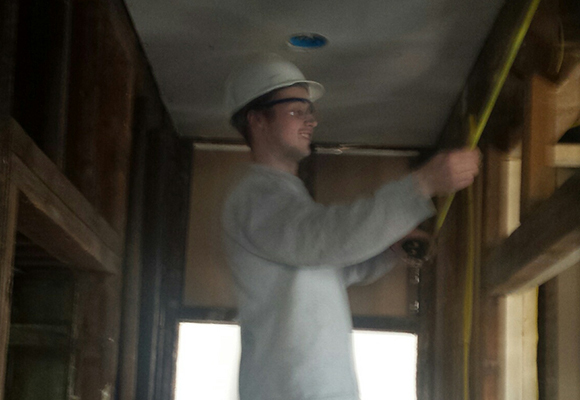 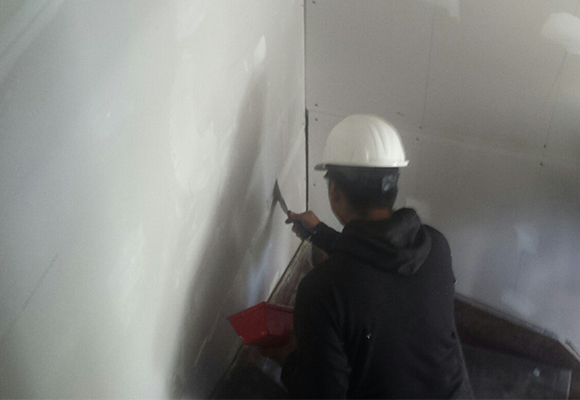 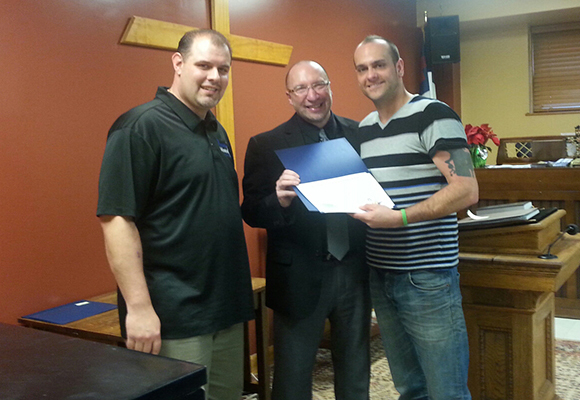 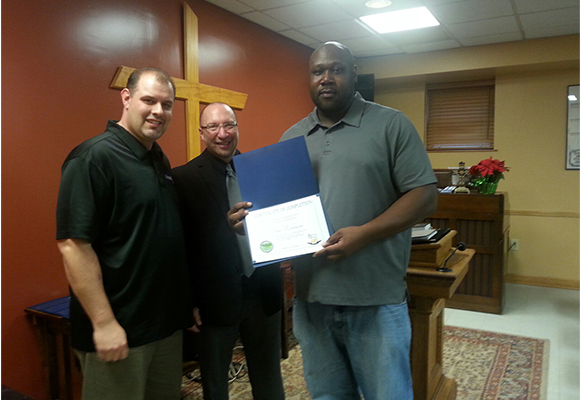 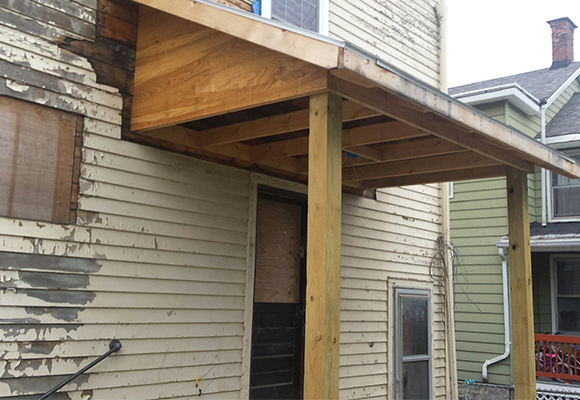 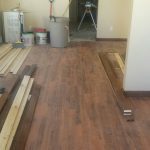 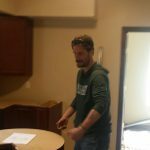 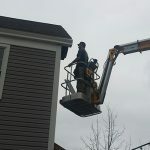 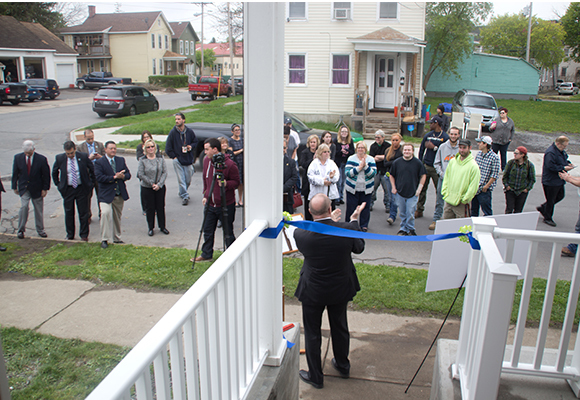 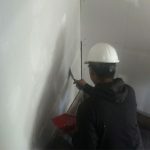 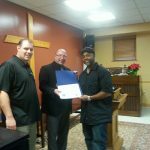 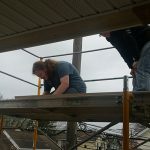 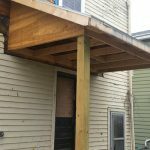 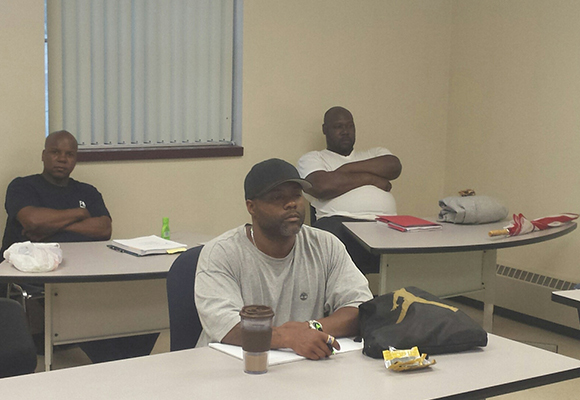 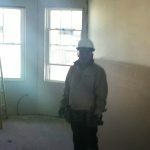 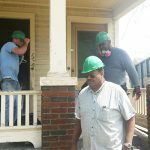 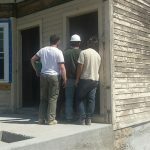 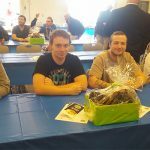 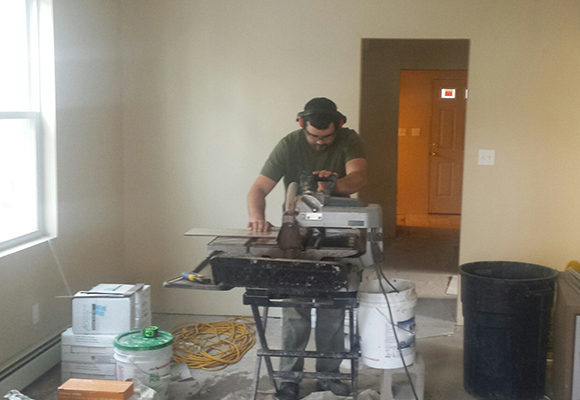 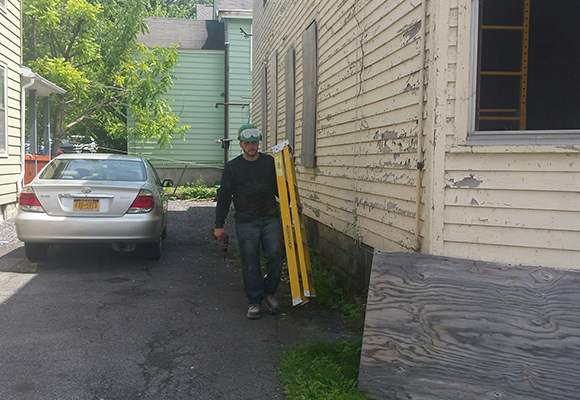 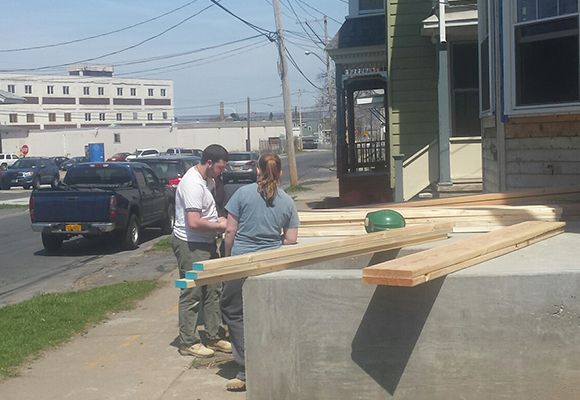 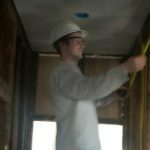 In 2015, the Rescue Mission of Utica embarked on a new program that will train its residents and other unemployed and under-employed individuals with an opportunity to build skills in the construction trade. 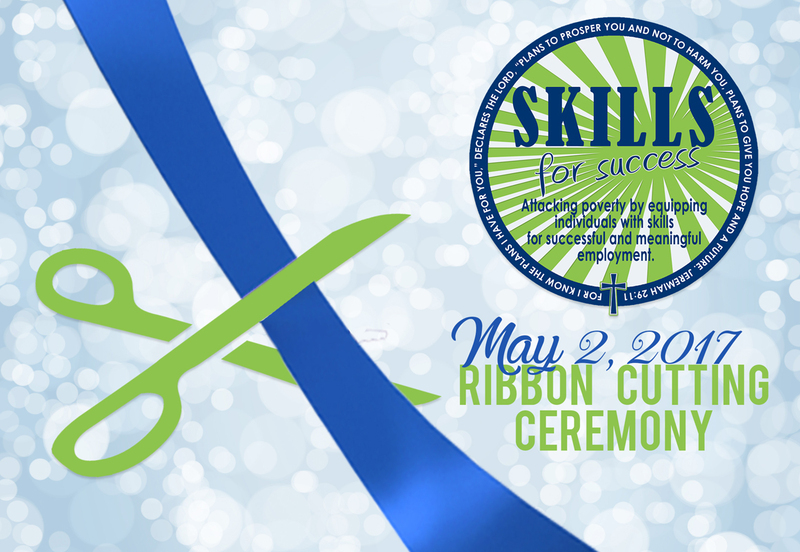 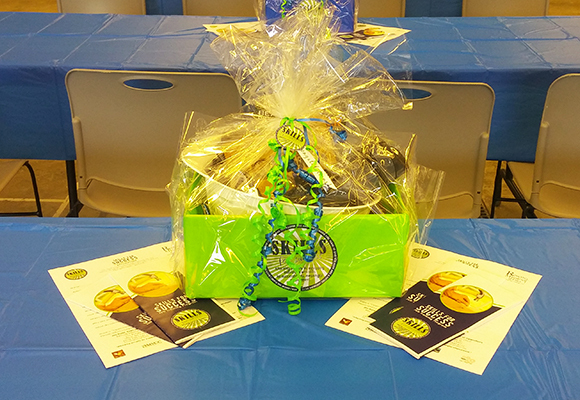 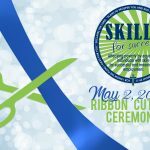 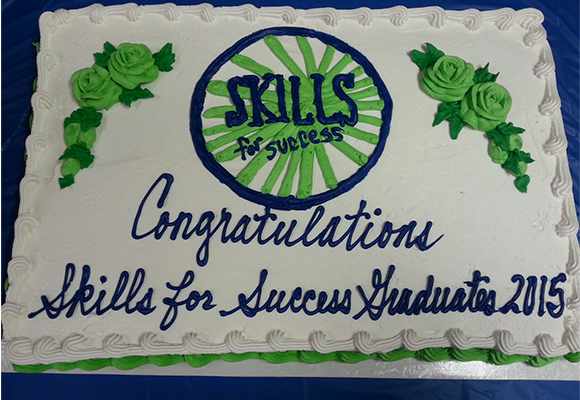 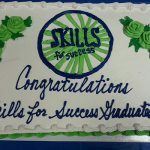 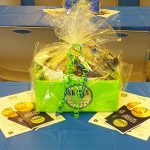 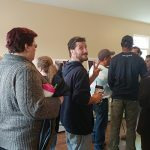 “Skills for Success” is a six month job training program in partnership with Mohawk Valley Community College, OnPoint College, Working Solutions, Compassion Coalition and the City of Utica. 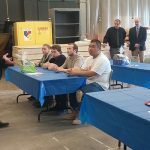 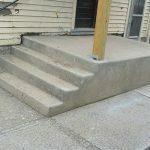 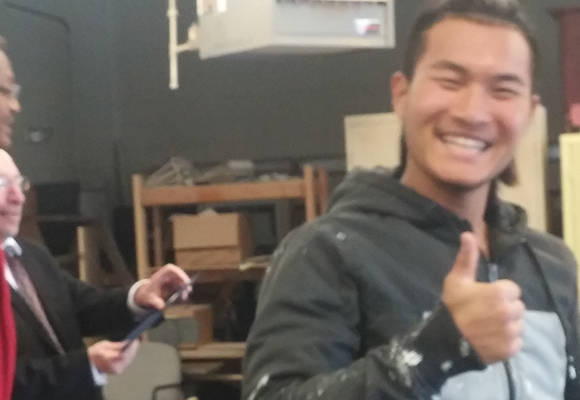 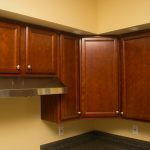 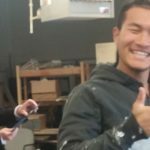 This program equips students with knowledge and experience in the carpentry and masonry field giving them skills for successful and meaningful employment. 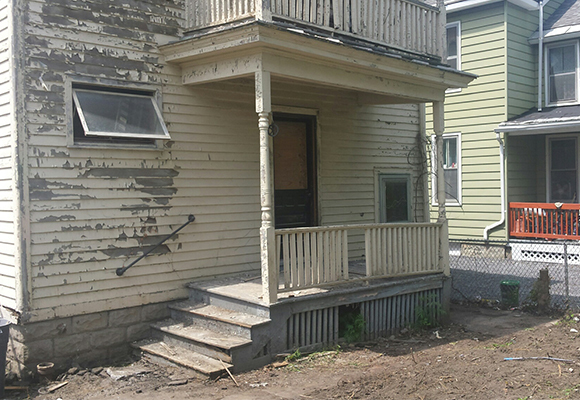 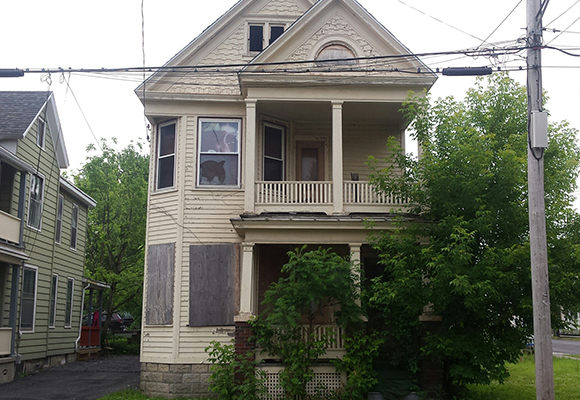 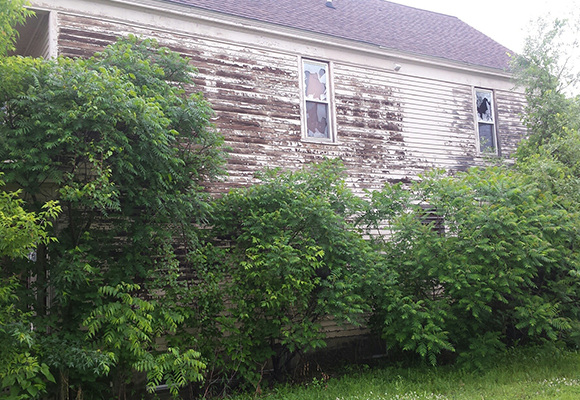 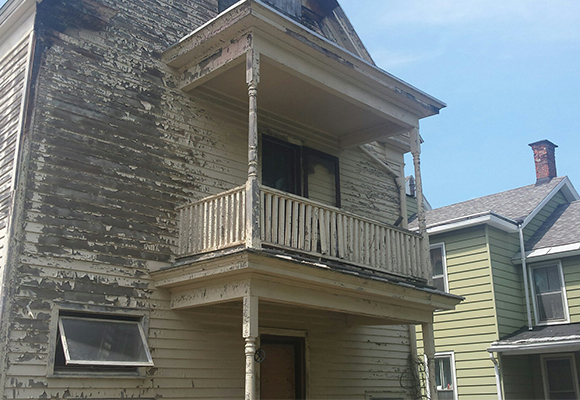 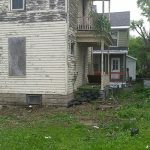 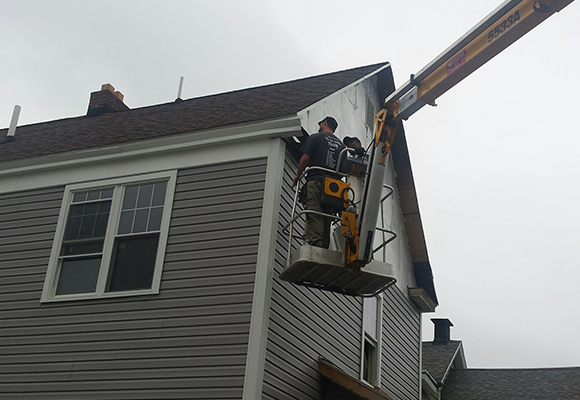 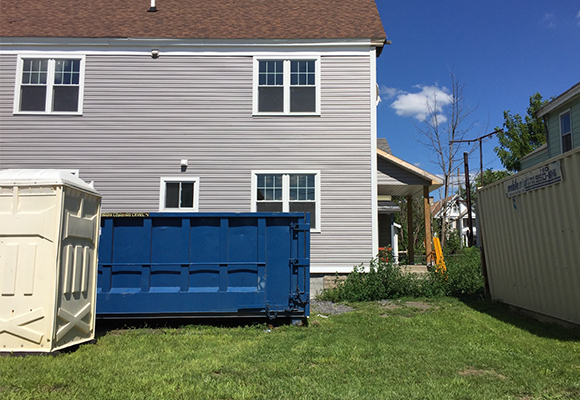 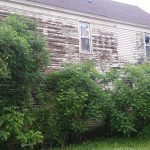 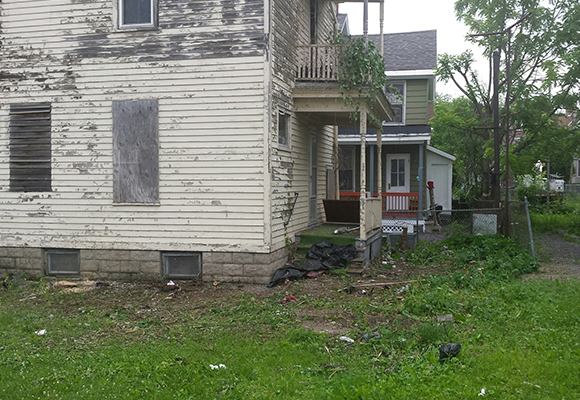 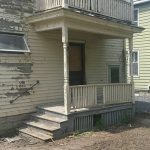 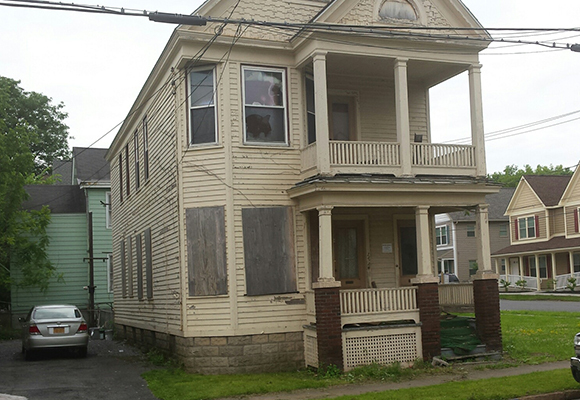 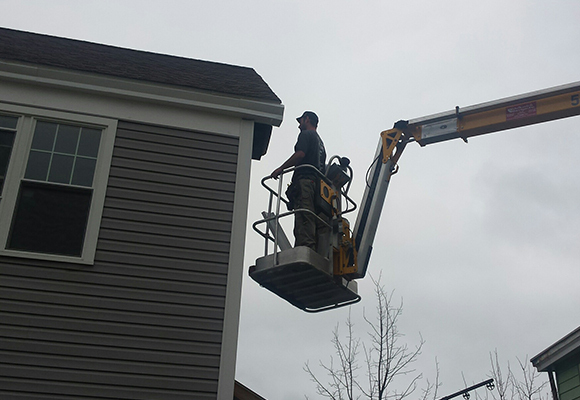 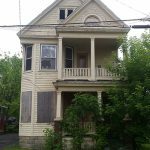 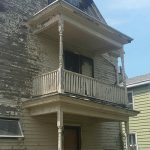 A vacant home was located at 1331 Sunset Ave. was purchased from the City of Utica. 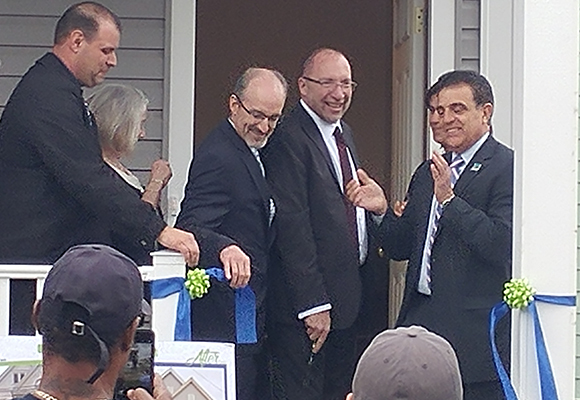 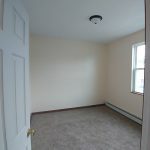 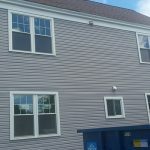 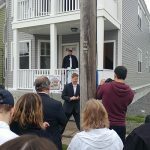 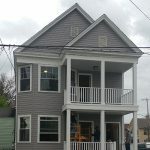 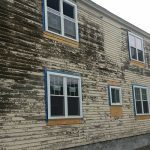 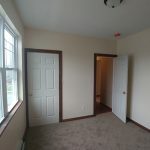 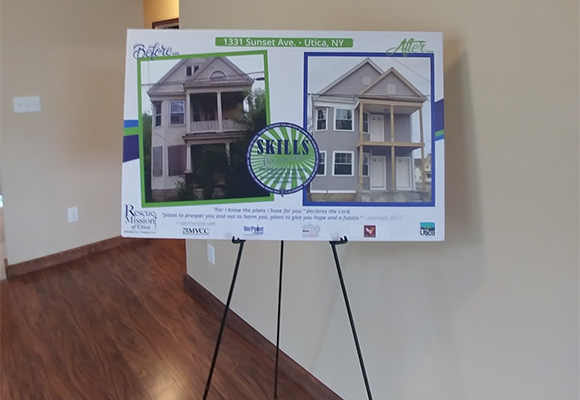 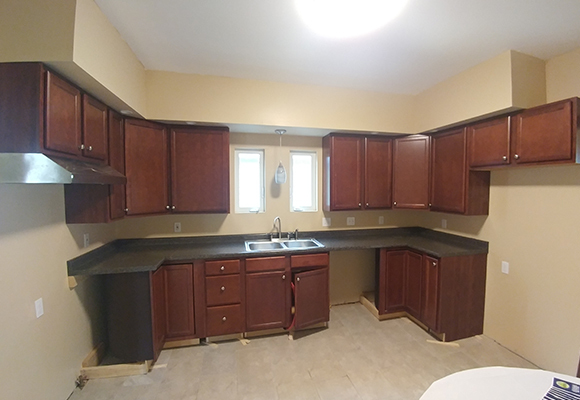 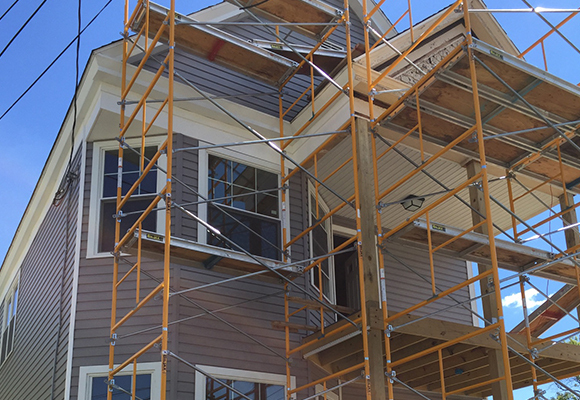 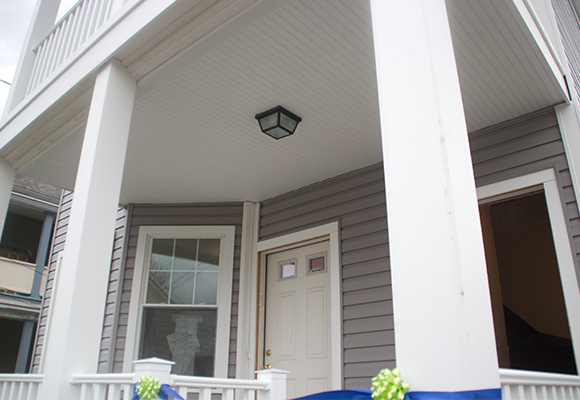 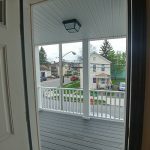 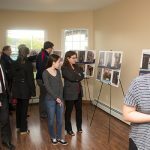 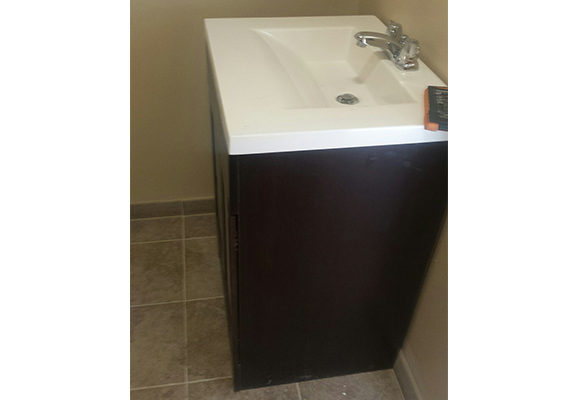 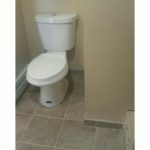 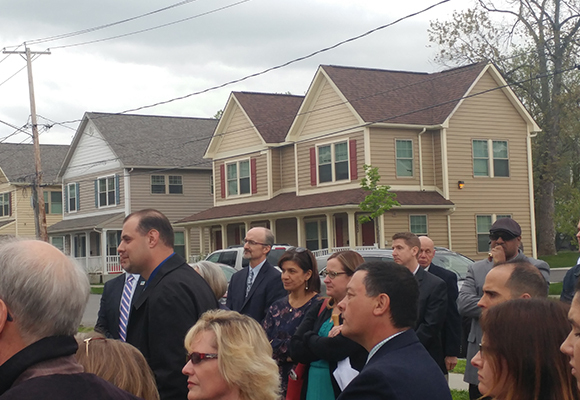 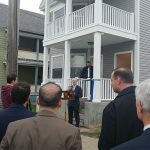 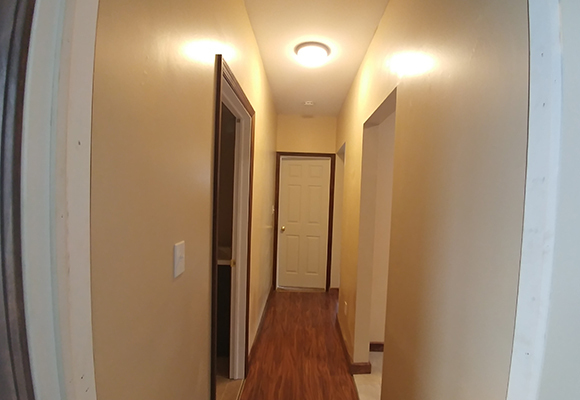 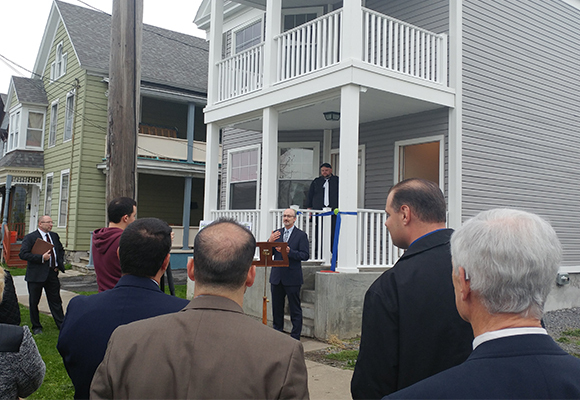 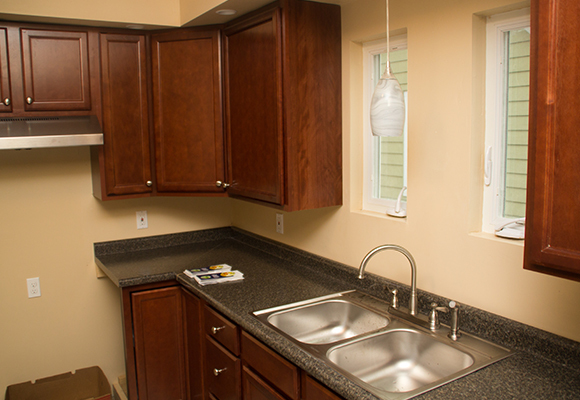 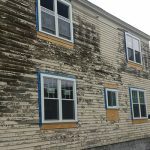 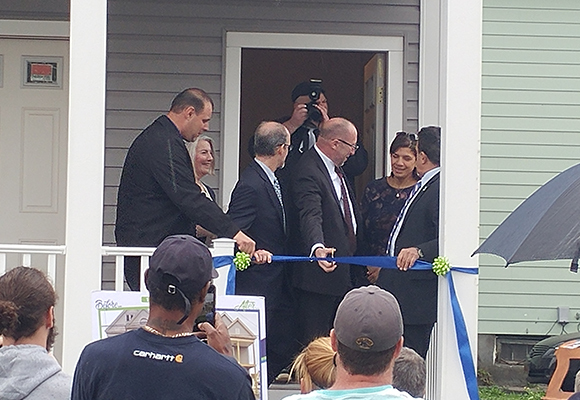 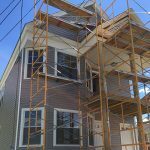 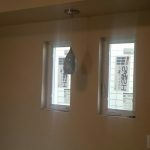 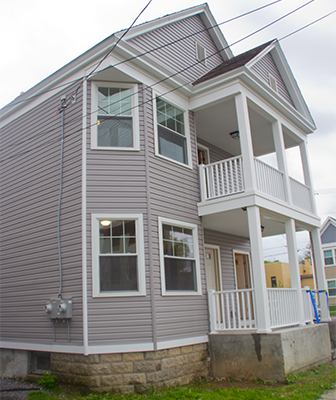 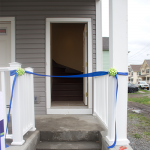 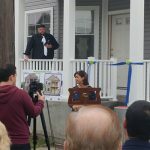 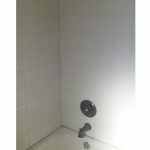 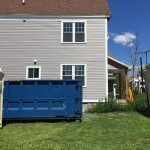 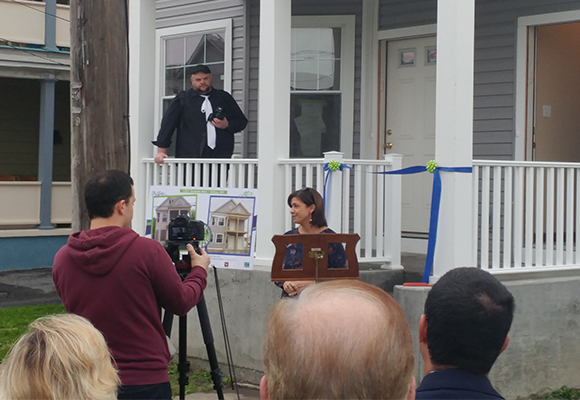 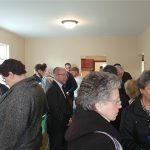 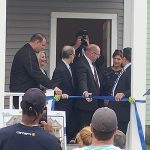 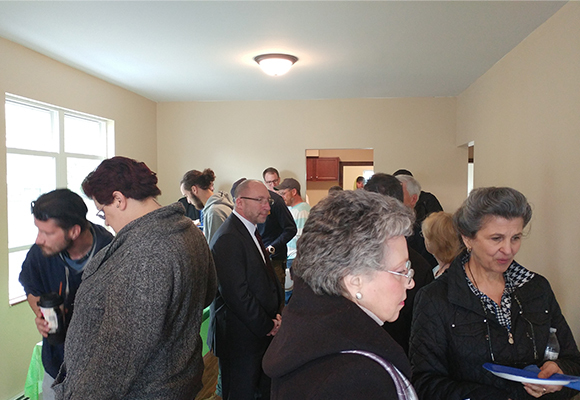 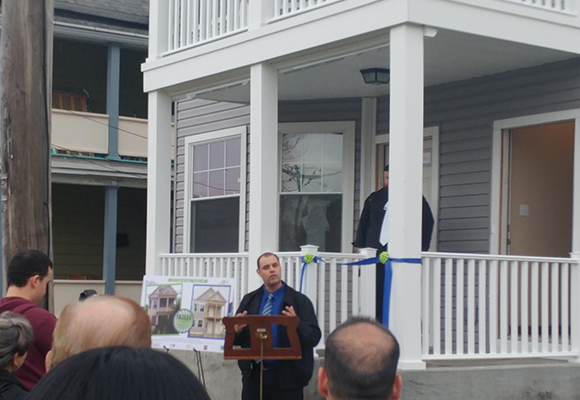 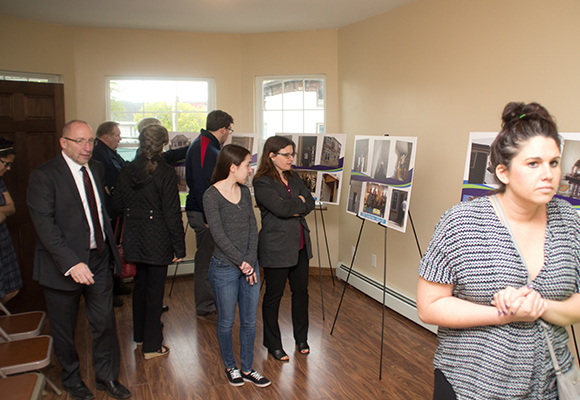 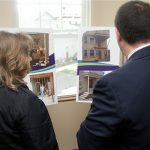 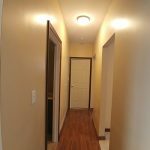 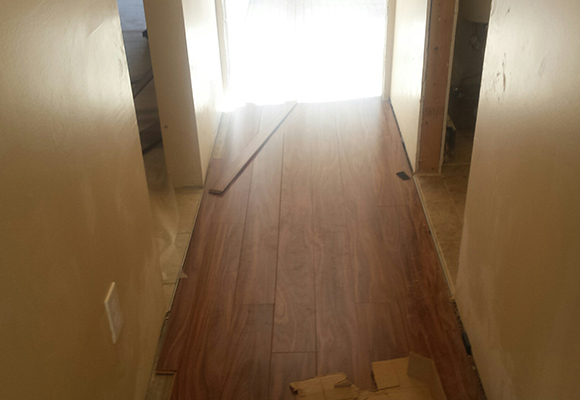 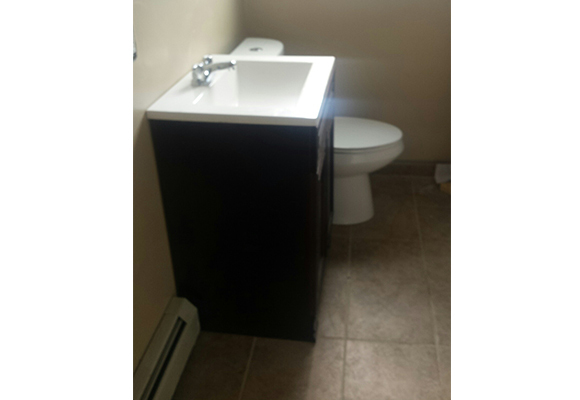 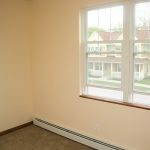 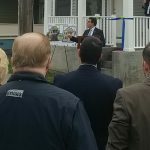 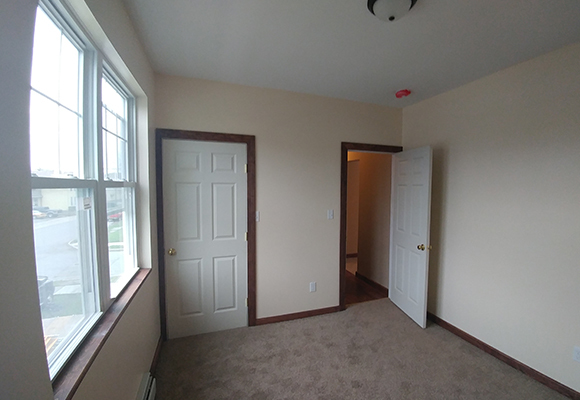 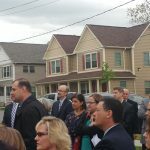 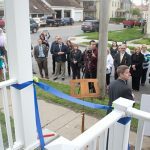 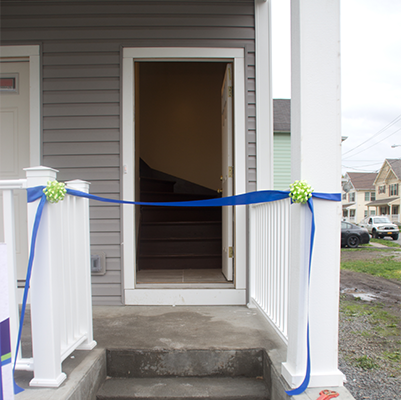 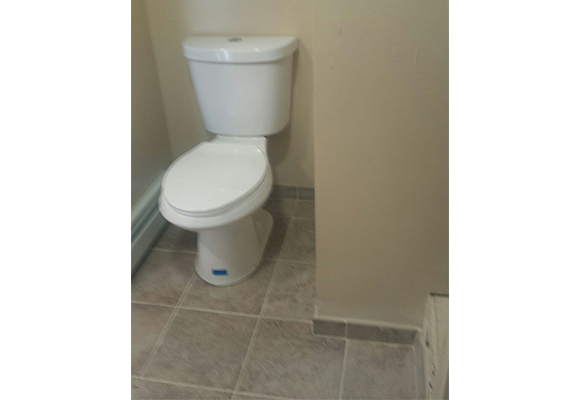 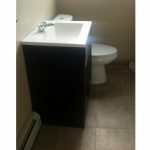 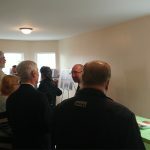 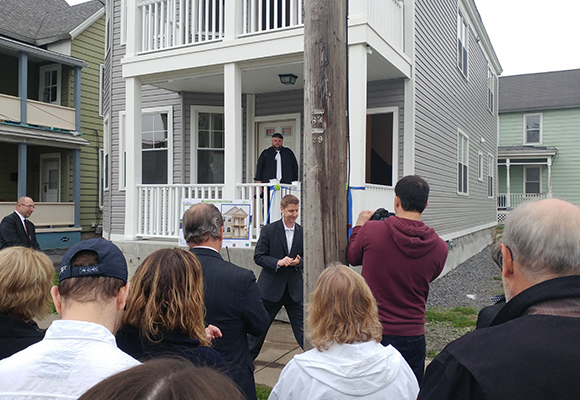 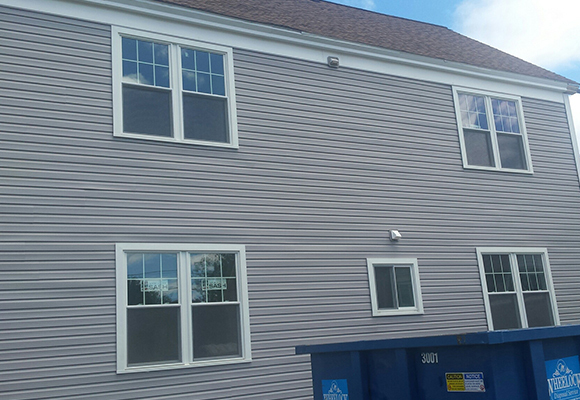 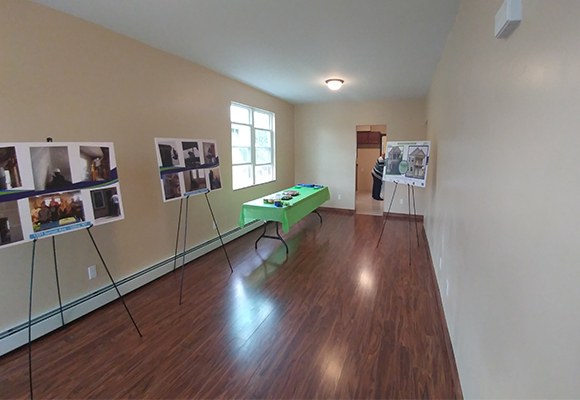 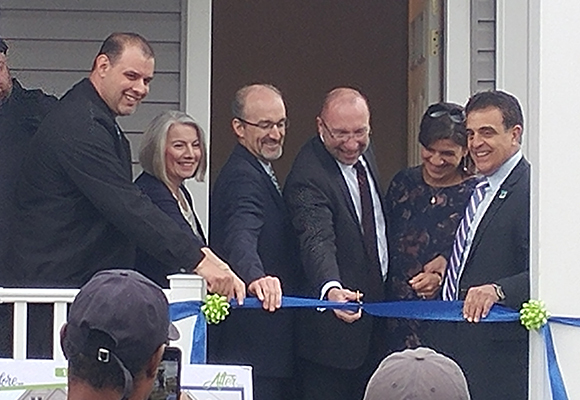 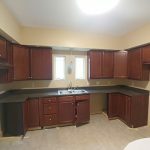 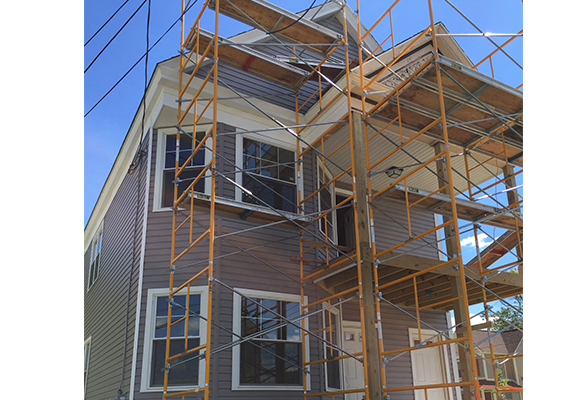 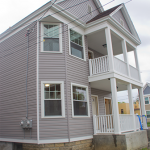 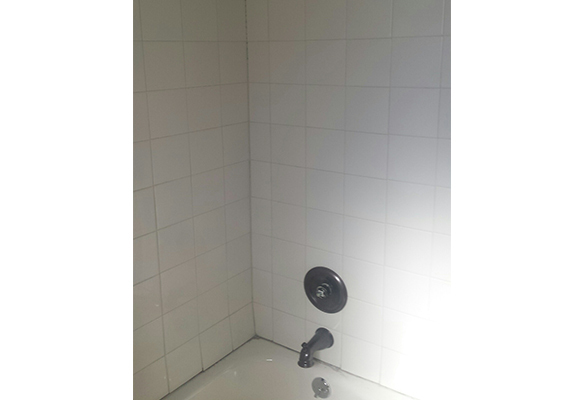 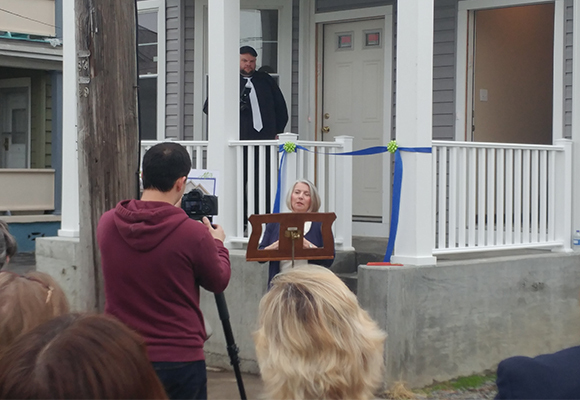 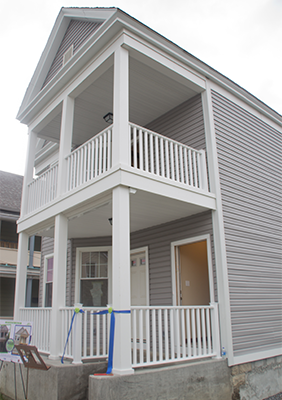 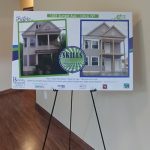 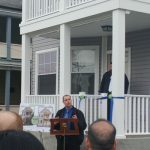 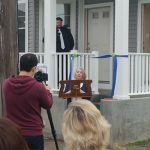 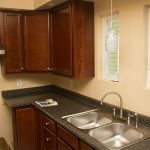 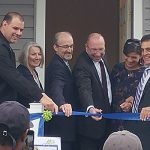 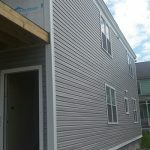 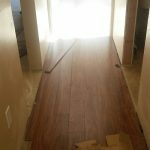 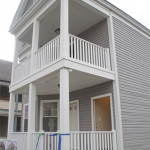 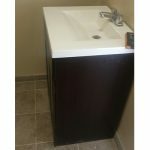 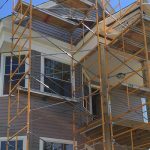 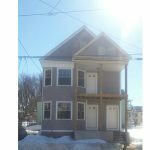 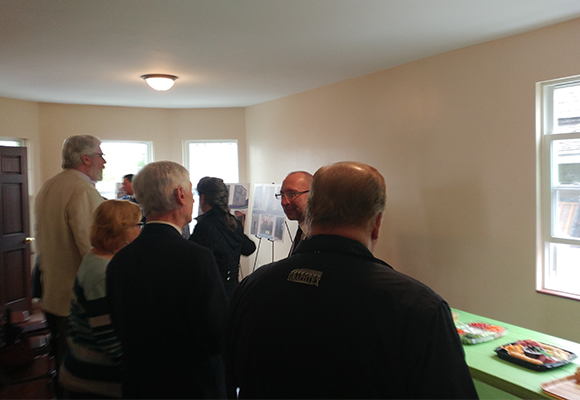 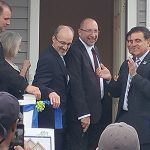 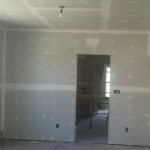 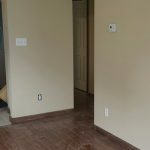 The home has been renovated, the energy efficient rehabilitated home will result in a sustainable, affordable home which builds a stronger, healthier community. 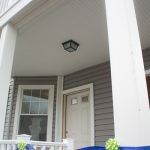 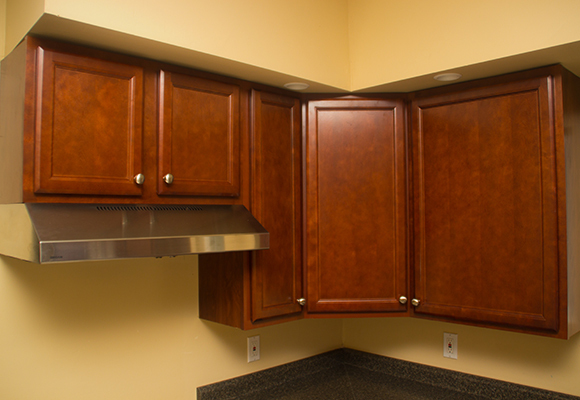 The home will be sold at or below market value to a first-time home buyer. 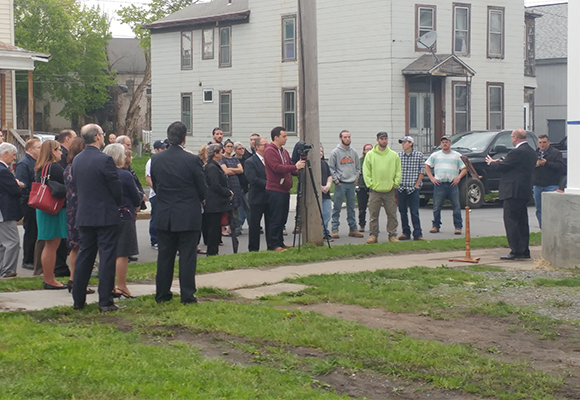 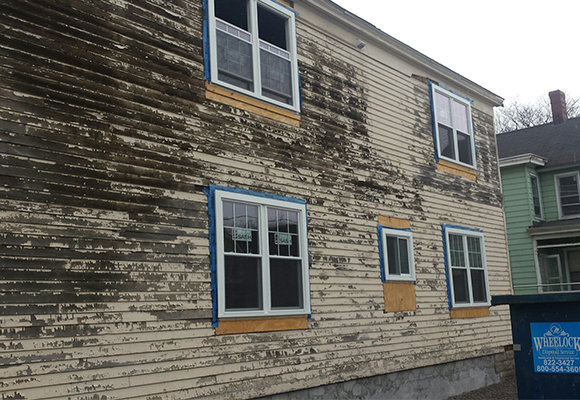 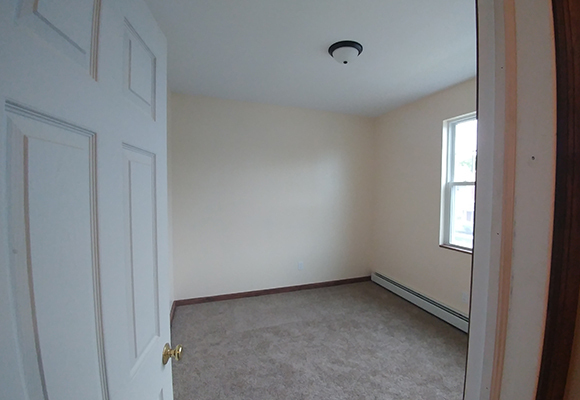 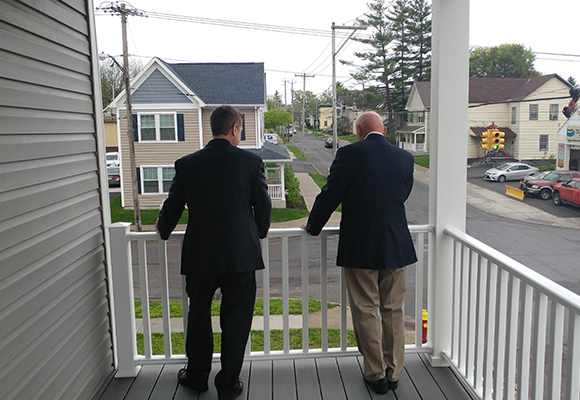 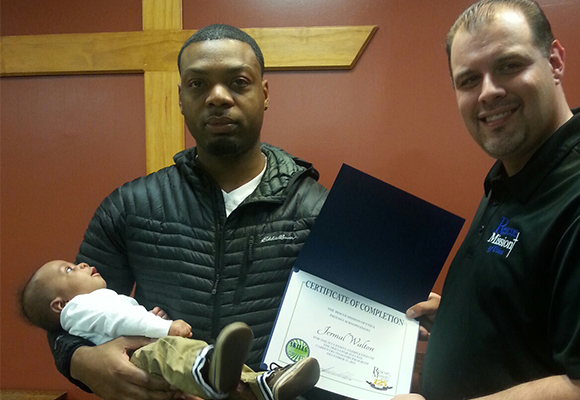 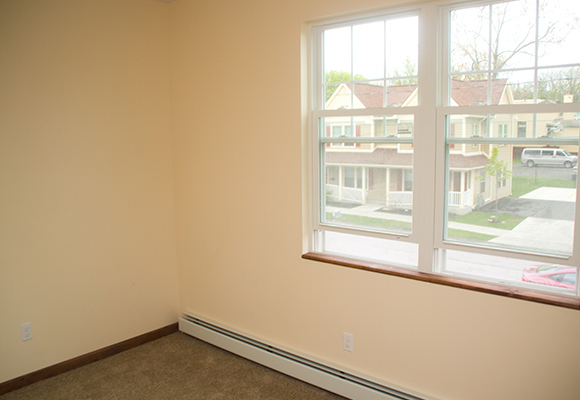 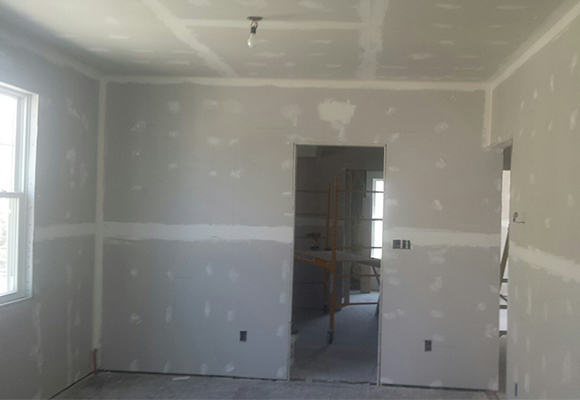 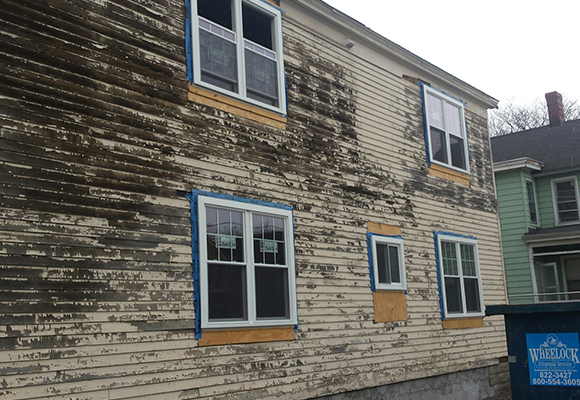 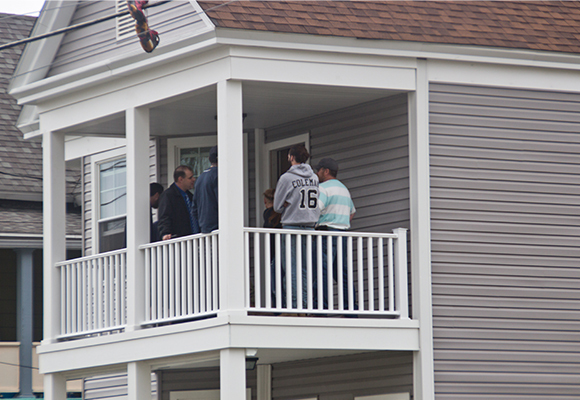 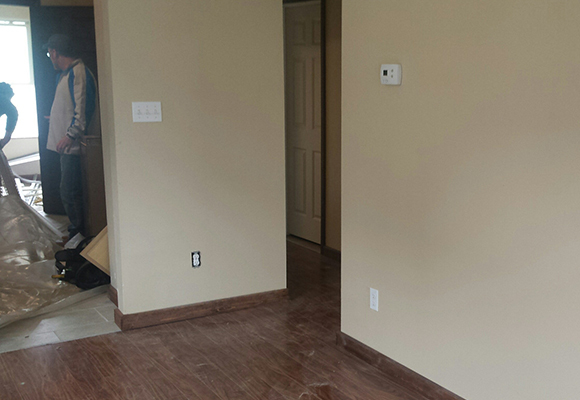 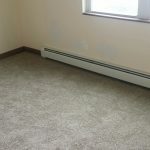 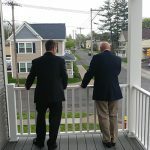 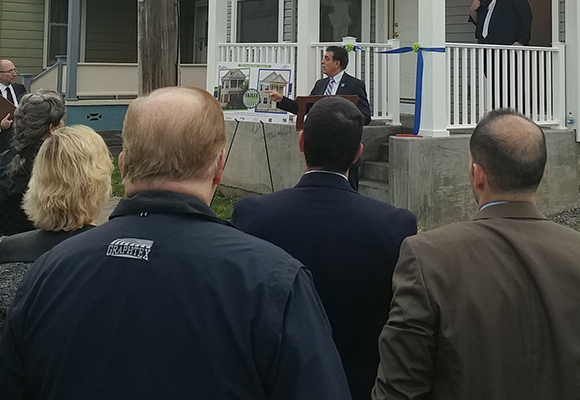 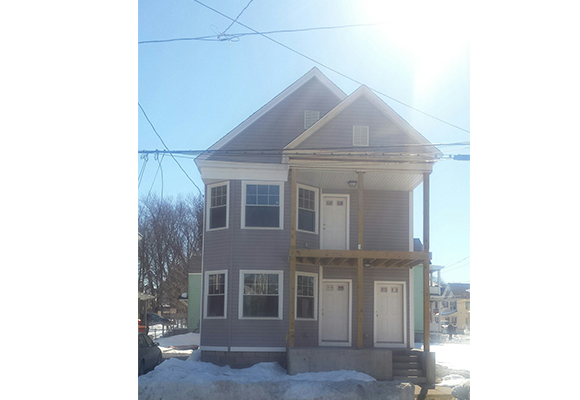 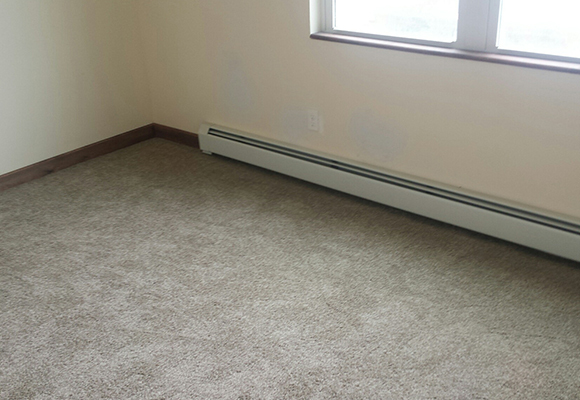 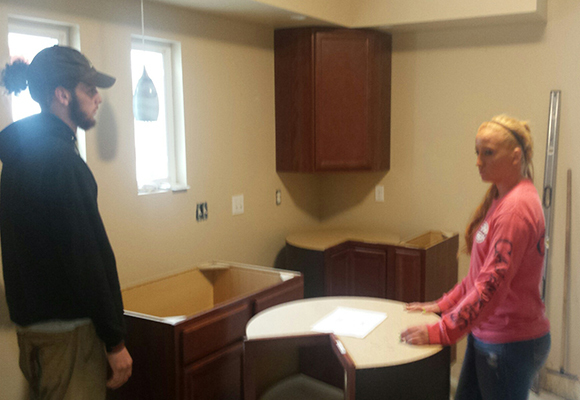 Not only will a vacant building be put back on the tax rolls, but it will provide a family with a place to call home. 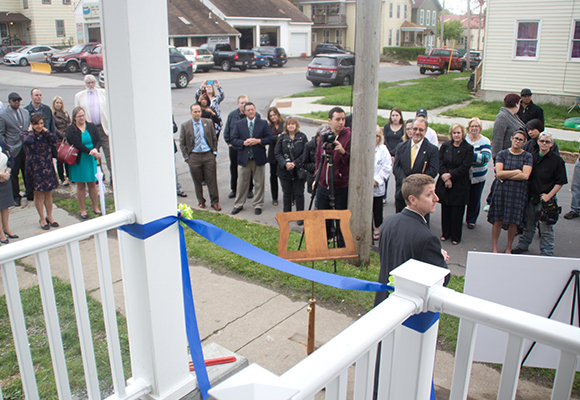 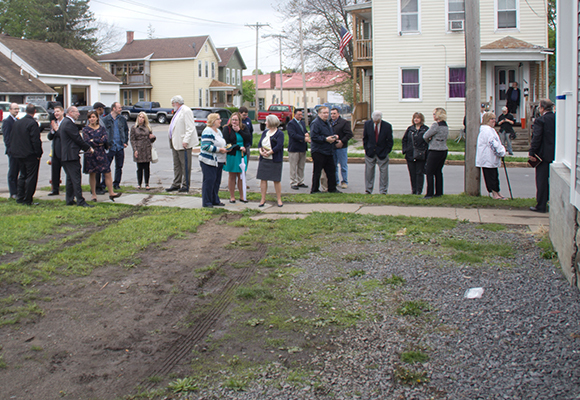 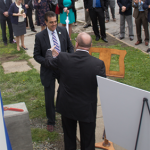 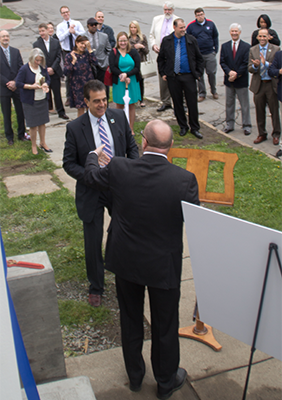 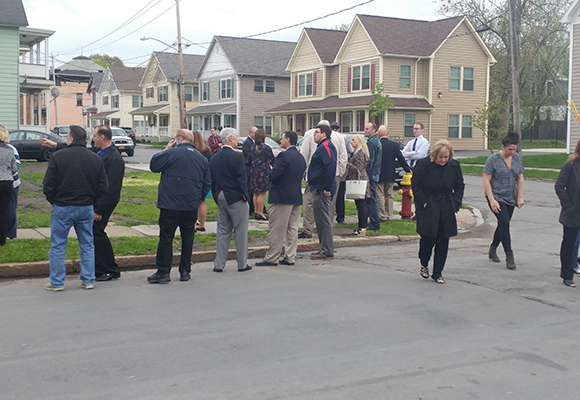 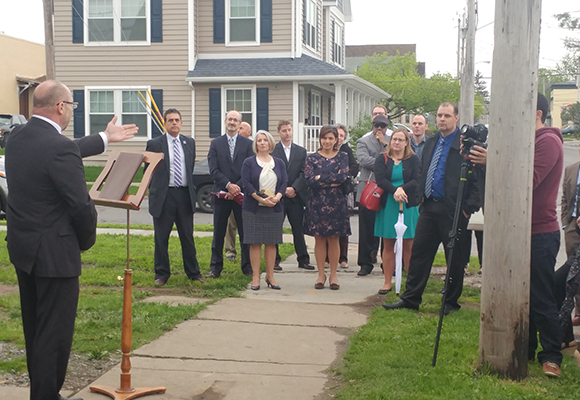 A special thank you to our partners: Mohawk Valley Community College, OnPoint College, Working Solutions, Compassion Coalition and the City of Utica for making this vision a reality.